I've known this guy for quite some time now. It's been years actually because we have the same hobby, that's photography. 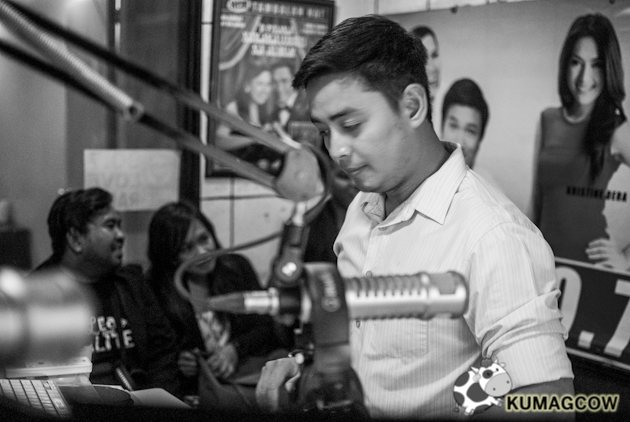 Unknown to me at that time, he's a radio superstar from Love Radio 90.7. I didn't know he was very popular because I only listen to one radio show in FM and thought all the others were passe, I was that stupid. Anyway, lo and behold, everybody else was listening to him in his radio station. The thing is, he's the love guru, the kind that other people fall in line for so he would be able to give them what they want... the real truth. He's a good listener, he says he's not really a good advisor, but he reckons he is good at piecing things together. It's that kind of talent that he says is essential to the success of his radio show. He completes the story for them, get the pieces together and see a clearer picture of what the situation is. He gives the credit to his listeners and callers but says the only contribution he gives is that capability to make it easier for them to understand what seems to be a difficult situation for others. 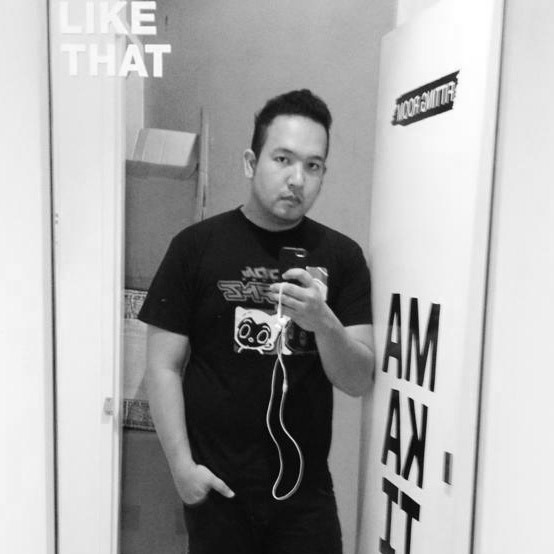 To the public, he feels he's that friend they can talk to whenever they feel like it. It's the ideal situation, talking to them even behind the camera. He treats every single one of his callers the same, without prejudice. He doesn't feel he's transitioned already from behind and in front of the camera. He's not used to all of the glamour that comes with the territory, but he hopes he gets there soon. Where does he get it? He says he's not a genius in answering questions, but he creates a very good timeline and profile people. That's where he understands the story, where it matters most, he reads the lines in between, that's exactly his talent. Sometimes when someone says "He fooled me", they just don't see the part where the relationship experienced a "part where they fell in love" in the first place. It matters to most people, the part where he gives advice, he just gives normality to a thing that could never be accepted by that person. He gives that picture also of normality, and thinks it's a gift. He could have learned it in some places but he thinks it's more of a skill that came naturally. He admits that he doesn't usually practice what he preaches, but that doesn't make him a bad person if he gets to make people cry. Everytime, he even says sorry to people that have been fooled by guys like him. He believes LOVE is trial and error, but when he got married, he realized at some point, every person means everything to someone. He feels blessed that in some way, God gave him more than what he asked for and thanked him or that. 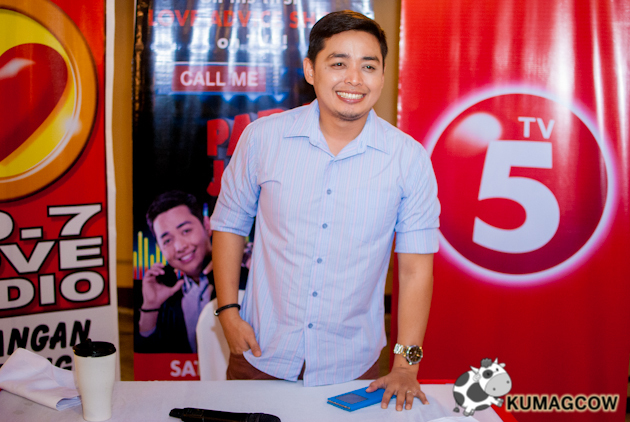 Aside from the family he's got now, he's thankful for the trust TV5 has given him. Now he's trying to get the human side in front of the camera, he's learning a lot and he hopes what he's doing in radio translates into TV as well. 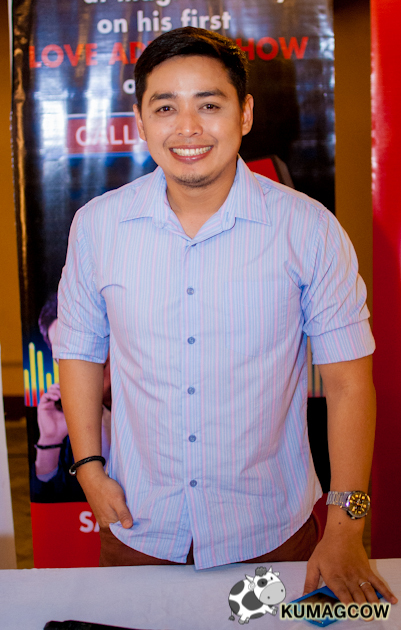 When asked about his dream interview, he wishes to have Senator Miriam Defensor Santiago hands down. She's his idol. He had a television show in the other channel and he did have a concern about it because he had tons of memories from that show, about family, he even cried because he felt it was pretty emotional there. The deal breaker here though is that this new show is going to be much like his radio show, but he's going to have more contributions, and will challenge him more because the production is very open about his input. He wants to work in an environment where people appreciate his growth as a person, where he never second guesses himself and wishes that it'll be something that would open opportunities, more blessings this year, and the years beyond that. He wants to put in record that he's apologizing to his wife. He spends quite only a few hours with them after a hard days work, and he thinks he lacks on that department. He wants to make a great family, a more productive one, to make it a more meaningful journey in his life. Luckily his wife is VERY supporting, and always makes it a point to be with him when they can go out together. He's thankful for that. With the tons of projects, endorsements, shows that is lined up for him, he's blessed with a very understanding wife and remarks that it's where his happiness is contained. It's been a long journey before he got to this state, trust me, I know. 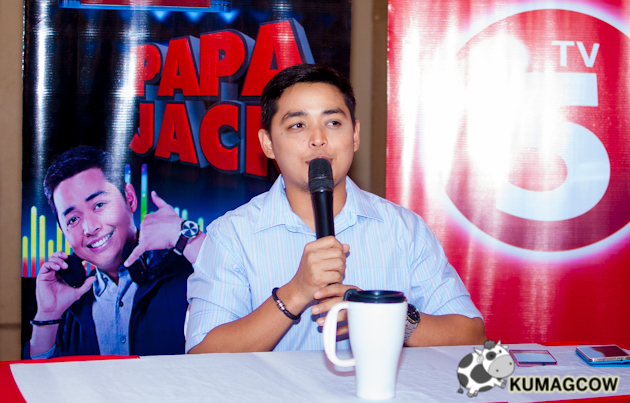 Call Me Papa Jack will be in your TV's every Saturdays at 10 PM on TV5. It's time you see the good looking guy behind the voice, take your celebrity down on the couch and talk with them like real people. Get the 411 on relationships with a real person, a real man who did so much things when he was just another voice on radio. He's that same friend you'll just have to see on TV from now on, even if he's going to be there every weekday on the radio.